Having batt insulation installed in your Garner, North Carolina, home is an excellent way to improve the energy efficiency of your house. 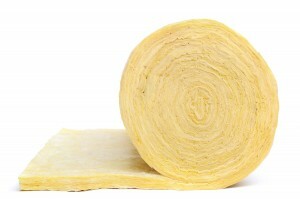 However, there are many considerations to take into account when it comes to adding insulation, such as the material, amount of insulation, and location in your home where it would be most beneficial. In order to ensure you’re making the best choice, it’s important to have an insulation specialist assess your home’s current insulating capabilities and install the proper level of batt insulation for you. That’s where 31-W Insulation comes in. For more than 40 years, we have been the insulation experts that homeowners throughout the southeastern United States have relied on for professional installation services. Improved energy efficiency – Because insulation blocks heat transfer, the HVAC system won’t have to work as hard to maintain a consistent and comfortable temperature within the home year round. This can lead to ongoing savings on monthly energy bills. Less noise pollution – Insulation absorbs sound, helping to reduce the level of noise that enters the home from outside. Fire resistance – Insulation made from fiberglass is noncombustible and does not require additional chemical treatments to make it fire resistant. The experts at 31-W Insulation can help you maximize the benefits of having batt insulation added to your home by carefully and precisely installing it to prevent gaps or openings. If you’d like to have one of our insulation specialists provide you with a free consultation at your home in Garner, NC, contact 31-W Insulation today.